Yes, brooms and vacuum cleaners can clean your surface quickly clearing all the debris from the hard floor at home. However, if you need a truly spotless floor, you’ll need to get a mop. Traditional mopping requires immense patience, elbow grease, and thorough cleaning. This beckons the question; do they really deliver what they promise? In reality, a significant number of steam cleaners may fail to deliver what they promise. This means that you will need to consider doing some homework before purchasing one. This can be quite overwhelming considering that there are a variety of options available. Picking the best steam cleaner isn’t an easy task. You will need to identify and look for what you want. This basically involves looking at the various features and factors to consider when searching for steam cleaners. We’ve outlined some of the factors to ease your search below. Steam cleaners are great appliances which are a great choice for souped-up hygiene back at home. Have a look at the factors below to choose the best steam cleaner. Handheld steam cleaner – as the name suggests, they are small, portable and, compared to other types, affordable. 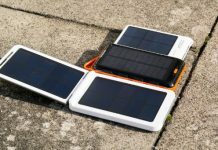 They come in a compact size which makes them easy to use or store when not in use. They are an ideal choice for removing small stains from the carpet or cleaning windows, but not practical for large spaces. Due to their portability and small size, they come in handy for cleaning counters and hard-to-reach areas. Steam mops – unlike the handheld cleaners, steam mops are primarily designed for cleaning floors. They resemble the look and feel of stick vacuums thus upright, easy to handle and of course, lightweight. They come with a water tank attached. Cylinder steam cleaners – also known as canister steam cleaners, they are larger than handheld and steam mops. Due to their bulky nature, they are difficult to handle, store and manage. However, this shouldn’t scare you away from them as they are overly efficient when it comes to sanitizing and cleaning your home. The large nature of cylinder cleaners is associated with the large water tanks attached to this unit. The large nature allows you to accomplish large cleaning jobs without worrying about refilling the unit often. The other advantage of this unit is that they have different attachments for cleaning specific surfaces making it exceptionally versatile. They can be used on floors, counters, clothes, and curtains. Prices of these devices vary but averagely are more expensive compared to both handheld and steam mops. Despite the steep price tag, they easily clean and sanitize more than the other types. Vapor steam cleaner – this type of cleaners is similar both in function and form to cylinder steam cleaners. However, they come with much more features and attachments meant to allow for an easy cleaning of different types of surfaces and objects. A major difference, however, is that they provide a “dry” clean. This is possible as it utilizes high heat levels ensuring that only steam touches the surfaces without dampness or water being left behind. Based on your needs, you should consider purchasing a type of steam cleaner that suits your needs. The type of steam cleaner you go for has a significant effect on the price range. For instance, as mentioned before, handheld steam cleaners and steam mops are available at affordable or reasonable prices. On the other hand, some cylinder and vapor steam cleaners can be quite pricey. Nonetheless, note that the price range is directly proportional to the performance and cleaning effectiveness of the steam vapor. That said, always have a pre-planned budget on the much you want to blow out on a steam cleaner. This should be based on the intended use of the steam cleaner. If you need one providing variety, consider a pricey option. However, if you need one for basic home use, get a reasonably priced steam cleaner. As mentioned on the steam cleaner types, they basically vary due to their sizes and weight. Steam cleaners often come in wide range of size, weight, and shapes. This depends on the type you want to buy. Before buying one, ensure that you look at the weight and dimensions of the unit. You should then think if the size will suit the intended purpose. If you are comfortable carrying a heavy steam cleaner, go for your appropriate choice. This should not only be based on how easy the cleaner is to use but also the availability of storage. Make sure that there is enough room to store the unit when not in use. Steam cleaners often come with various attachments to enhance their versatility when cleaning various types of surfaces. 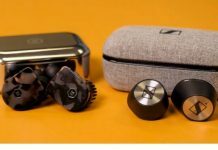 There are those attachments and accessories provided by manufacturers and those that you need to buy separately. Additional attachments and accessories translate to increased versatility of the steam cleaner. 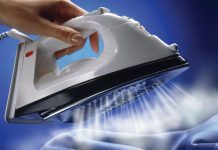 Similar to iron, steam cleaners only produce steam provided there is water to heat. Smaller steam cleaners have smaller water tanks, thus requires more frequent refilling. On the other hand, large cleaners have large tanks which not only last longer but also take longer to heat up. 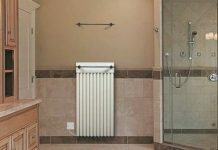 Therefore, based on the intended use, decide whether you will prefer easy heating and frequent refilling over long lasting and longer heating time. How hot and how much steam pressure your steam cleaner generates are the other factors to look into. Steam cleaners with high temperatures produce dryer steam as well as high pressure thus more sanitary, deeper clean and kills more germs thus more efficient. Compared to vacuum cleaners, steam cleaners produce less noise thus typically quitter. However, this doesn’t rule out the presence of steam cleaners with high noise levels. Therefore, if you are concerned at how loud the system can get, check what reviewers say about the product. Besides, check manufacturers statement on decibel levels. It goes without saying that lighter models are easier to use compared to larger types. However, note that larger types often produce a deeper clean. 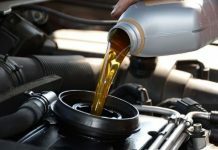 Other essential factors you may want to consider include the presence of continuous refill, energy usage, manufacturers reputation and warranty. Following the guidelines outlined above, consider the following steam cleaners available in the market for efficient cleaning. 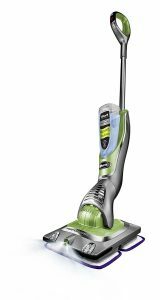 If you need to keep your floors shiny, sanitized and overly clean, get the Bussell Powerfresh Steam Mop. This steam cleaner comes with stellar cleaning ability, making it the best cleaner and a good value for the price. Besides cutting through various stains and stuck-on mess, it is easy to use with a myriad of accompanying features. Manufacturers of this steam cleaner promise that it eliminates 99 percent of bacteria and germs. It is a flip-down scrubber which allows you to clean tough messes, sticky, grout and dried-on spots without much hustle. Compared to steam mops of the same caliber, it works two times faster, thanks to the in-built easy scrubber. The highlight of this product’s features perhaps being the smart set digital variable steam controller which lets you control and customize the whole steam cleaning experience. The variable steam control feature enables you to achieve a cleaning power that fits your needs. This is provided for by a simple push of a button. 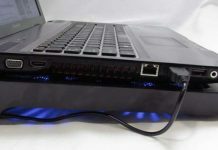 With this, you can control the cleaner to high, medium or low steam settings. The Febreze spring breeze fragrance disc is the other awing feature of this steam cleaner. Here, you will achieve a great smelling clean due to the presence of fragrance discs. With this, you will have killed two birds with one stone – one, clean the surface, two, apply fragrance! 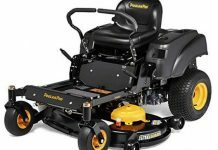 Performance of the Bussell Powerfresh Steam cleaner isn’t something to doubt about. Compared to other units which generate too much or little steam, this model produces just the right amount. This makes it a perfect steam mop for bare floors for scrubs, sanitization, and shining purposes. About its design, the water tank is situated at the top of this steam cleaner. The tank can be refilled with water any time even during use. For efficient cleaning, distilled or demineralized water is preferred over tap water. Manufacturers also recommend that you don’t use chemicals in the water tank. Besides, it is well designed with an ergonomic handle with a soft grip that makes it easy to use the mop cleaner for an extended time without much discomfort. This steam cleaner is best for various floor surfaces. It is safe for hard floors, linoleum, laminate flooring, stone, tile, ceramic and marble. O-Cedar has been in the market since the early 1906s. 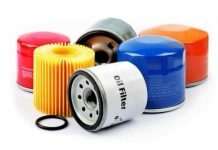 This not only guarantees that manufacturers know what they are up to but also efficiency in their products. 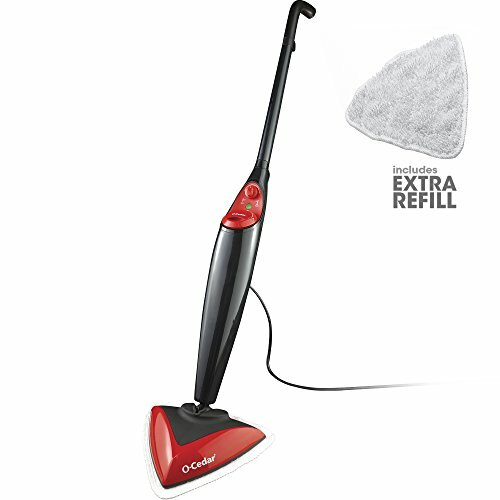 Their latest product to the market is the O-Cedar Microfiber Steam Mop. So to say, it is the company’s first steam mop. Manufacturers advertise that this product guarantees killing up to 99.9 percent of bacteria on floors without using any chemicals. It specifically guarantees this having being tested in E. coli. Once powered on, this steam mop heats up in 20 seconds. The triangular shape is perhaps the most recognizable unique feature of this steam cleaner. The head is designed to be triangular to make corner cleaning quite easy. The head is also flexible and swivels allowing you to maneuver easily around the house furniture thus proper house coverage. The microfiber pads are the other intriguing components of this steam cleaner. Like other steam mops of the same caliber, it uses an absorbent microfiber which absorbs water effectively on the floor thus promoting swift drying. The pads are also soft, gentle and safe for the floors during the steam cleaning process. Factually, the pads are composed of 91% polyester and 9% other material allowing steam to penetrate quickly. Steam and settings of this steam cleaner are outstanding. As mentioned before, the cleaner heats up in 20 seconds, thus a quick plug-in steam time. As if this isn’t enough, the O-Cedar Microfiber Steam Mop also comes with two steam volume settings. You can either choose minimum, which is perfect for delicate floors such as wood and laminate or maximum settings for sealed hard floors. The self-protective mode is the other feature that will make you love this steam cleaner. For instance, when water volume decreases to critical levels in the cleaner, the self-protective mode is triggered where the device stops working, and the LED light turns red. This indicates that the cleaner isn’t suitable for use. Once refilled, the LED light turns from red to green signaling that you can proceed. The Snap-on glider accessory is the favorite accessory of this steam mop. This applies to those who want to refresh the carpets. Once the carpet glider accessory is snapped in place, push and pull the steam cleaner on the carpet’s surface for an efficient clean-up. The Hoover FloorMate Deluxe Cleanser is tagged the ultimate hard floor cleaner that gets rid of dirt. This steam cleaner delivers an undisputedly deep clean, gentle and safe scrubbing of sealed hardwood, ceramic tile, laminate, marble floor and vinyl floor surfaces. It is accompanied by various technological features which make this cleaner overly efficient. For sure, cleaning hard floors can be quite challenging. However, that isn’t the case with this steam cleaner. The cleaner features a SpineScrub technology coupled with Counter-rotating brushes which make cleaning overly convenient. 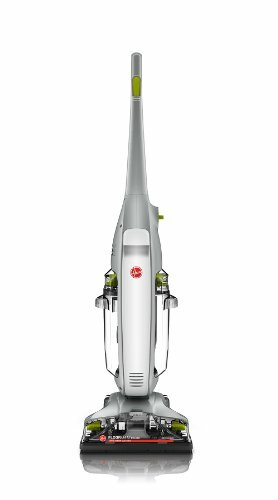 Compared to traditional cleaners, this model simply uses water, a cleaning solution and spinning brushes to eliminate debris and dirt from floor surfaces. The Dual Tank technology in this cleaner comprises of separate tanks for clean and dirty water. Since dirty and clean water is separated, you will never put dirty water on the floor again. This technology, combined with specialty brushes, make cleaning of wooden floor surfaces easy. Moving on, it has two modes which can be selected based on the nature of your floor. They are the wash and dry modes. Wash mode makes use of the brushes to clean the hard floor surface whereas the dry mode suctions up the excess water. This improves or rather shortens the drying time of the floor. Attachments and accessories that accompany Hoover FloorMate Deluxe won’t disappoint. It comes with two distinct brush attachments all designed to ease your cleaning job. One of the brush bars is made specifically for general hard floor cleaning whereas the other is tailored for tile and grout cleaning. 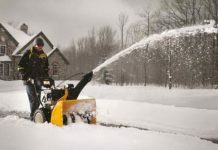 Replacing and interchanging the brush bars is easy making it convenient. Other intriguing features from this steam cleaner include the Clean Boost Control which allows a fingertip control for applying extra detergents to the stains and other heavy traffic areas. 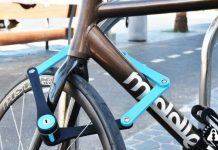 It is also lightweight, weighing just only 14 pounds and easy to assemble. If you need an above-average steam cleaner that works on different types of messes, consider buying the Sienna Luna Plus Steam Cleaner. This mop handles various tasks with efficient tools effective for carpet and drapery cleaning. It is a perfect mop if you need steam cleaning services beyond floors. Like other steam cleaners, the Sienna Luna Plus steam cleaner ascertains a healthy and safe home environment. It reduces the buildup of germs as well as lowers the chemical amount in your home environment. Steam sterilizing action kills approximately 99 percent of germs on surfaces, eliminates germs, allergens and dirt. What more do you need? This steam cleaner combines the sonic micro-pulse technology with the adjustable steam control system with a powerful LED source. The vibration feature helps the mop in loosening grime and dirt thus enhancing scrub effect resulting in a reduction of cleaning effort and time. The vibration technology vibrates at approximately 90 vibrations per second. The attached LED lights are essential for illuminating the cleaning surface thus highlighting areas that need to be cleaned. This provides more confidence in the overall result. The lighting control panel is easily accessible and soft to touch. 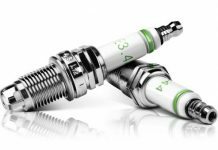 It is also responsible for control of vibrations, power and steam levels. Maneuverability of this steam cleaner isn’t a challenge. It is low profile with a flexible head which permits the user to reach hard-to-reach areas such as fixtures and furniture. The swivel action of the head also makes cleaning of corners and tight spots easy. To add to this, the attached shoulder straps make maneuvering much easier. The other impeccable feature of this steam cleaner is its versatility and multi-tasking ability. It is perfect for cleaning stovetops, draperies, mirrors and other surfaces. Actually, manufacturers also suggested that they can be used in cleaning upholstery and car wheels. 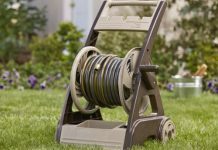 You will enjoy the wide cleaning range provided by the 25-foot cord. Accessories and attachment that accompany this steam cleaner include a carpet glider set, two Microfiber cleaning pads, custom fill cup, storage bag, four nylon brushes, two brass brushes, an extension hose, a shoulder strap and much more. When you want to steam clean your home quickly in a limited time, it would be inconvenient to run the vacuum for floor cleaning. 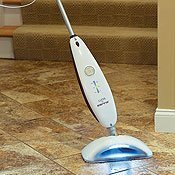 So, you need a 2 in 1 unit like this model, but, you should have clear cut mind about the capacity of steam cleaner required. This dual functional steam cleaner sanitizes with the steam power, takes up light dirt and debris. 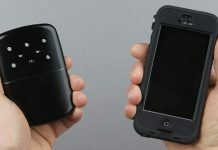 Interestingly, the vacuum and steam function function independently. Before involving in the steam cleaning process, a trigger needs to be held and it is placed in the handle which is a natural holding place during cleaning. This makes it convenient for processing. Although, it is meant for dual purpose, its vacuum suction ability can’t be matched with the normal standalone vacuum cleaners. Anyhow, it is not a major drawback because there are no notable negative feed backs on its quick floor cleaning before steam cleaning operation. However, it is a crucial task for those who have pets at their homes. With the Bissell Symphony Vacuum and Steam Mop, it is possible to steam clean the floors with just a swipe. Its other notable features are listed as follows. Quick-Release Mop Pad Tray for easy and quick changing of mops while cleaning itself. Saves time by performing two operations at the same time i.e., vacuuming debris and steaming hard and bare floors. Can be easily used with different digital controls on single touch. 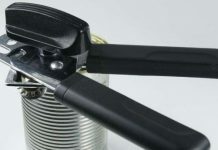 Handle can be adjusted in 5-ways which ensures easy handling. Tank can be dried up using Dry Tank Technology which also avoids the moisture building in the tank while steaming. For heavy cleaning performance, we needn’t get afraid of its performance because of washable vacuum filters and Bottom empty dirt bin as these are available for ready usage. Large Tank capacity assures you of long time water storage thus avoiding intermittent filling. Heater Warm Up Time is just 30 seconds. 99% of germs and bacteria killing is possible with the power steam thus eliminating the need of any chemicals. The product is quite expensive according to its multi-functional ability and convenience. 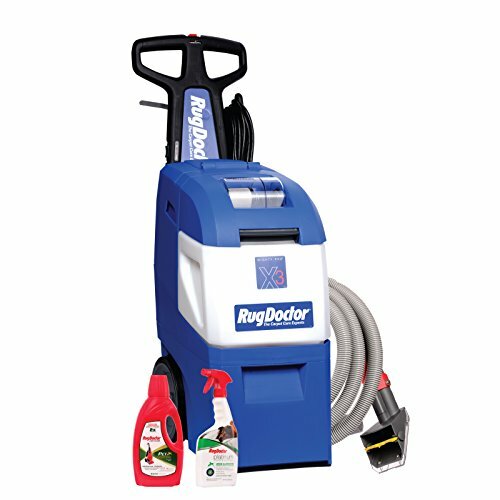 Rug Doctor is among the well-recognized manufacturers of carpet cleaning machines. Their latest commercial grade cleaner being the Rug Doctor 93146 Steam Cleaner. With this cleaner, the user enjoys a great durability and powerful cleaning. It promises expert cleaning results at a less cost. 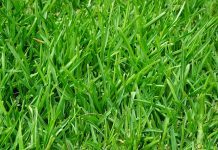 It is recommended for regular carpet cleaning at home. Besides being moderately expensive, it is feature-packed. The highlight perhaps being the dual cross action brushes. Other noteworthy features include its two-tank system, 11-amp motor, extra attachments and 28ft long power cord. Like other steam cleaners, the motor powers the brushes, and in this case, they are dual cross action brushes. As the name suggests, they are in two rows with stiff bristles to scrub at all angles. They oscillate providing a thorough and precise carpet cleaning. Water is important for steam cleaning. Otherwise, where would you get the steam? That said, it is imperative that you get a steam cleaner that stores sufficient water. Otherwise, you will be inconvenienced refilling the tank after short periods. With the Rug Doctor 93146 Steam Cleaner, you will enjoy the utmost convenience. It has two tanks which are easy to empty and refill. They are clear that you can tell when they need to be refilled. You will also enjoy the super boost spray function of this steam cleaner. Stains in your homes are of all kinds. As you clean, you may come across tough stains which are difficult to remove. This is where the Super Boost Spray feature comes in. The Rug Doctor has a dial which focuses on an extra spurt of cleaning solution directly to the stain for an effective removal. Steam cleaners are preferred as they provide an additional benefit of quick drying. This statement is reflected by Rug Doctor 93146 Steam Cleaner’s drying abilities. This steam cleaner is good at drying your carpets, ascertained by two reasons – its nozzle and high amps. Its 12-inch nozzle provides great suction pressure compared to smaller nozzles. On the other hand, the motor provides high amps which support string suction thus a faster and better drying. 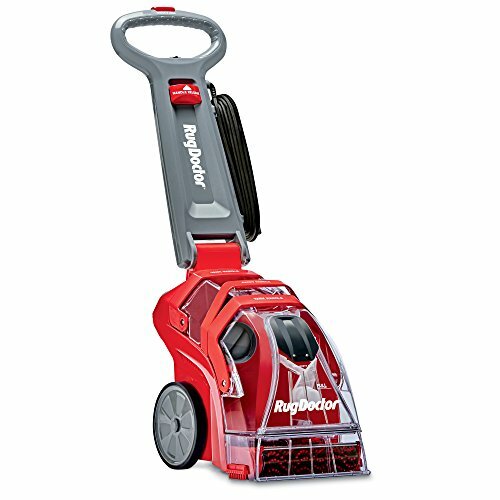 Other amazing features of this cleaner include an included hand brush, 2-year warranty and the 28ft cord length that provides the needed maneuverability. 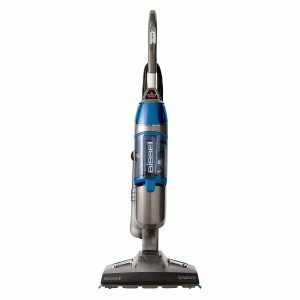 If you are looking for a steam cleaner for both hard and carpeted floors, consider purchasing the Shark ZZ900 Sonic Duo Deluxe Steam Cleaner. It encompasses the best in both worlds. The cleaner comes with a myriad of features, packed to deliver expert cleaning. The two scrub modes, smooth maneuverability and loads of extras are just but a few to mention. The two scrub cleaning modes are perhaps the selling point of this cleaner. The Shark cleaner comes with easy two scrub modes, one for hard floors and the other for carpets. This makes the cleaner not only effective but also extremely easy to use. Each mode gives out 1000 scrubs every minute ascertaining a powerful and versatile cleaning. Maneuvering with steam cleaners is often a big challenge. However, this isn’t experienced with the Shark ZZ900 Sonic Duo Deluxe Steam Cleaner. It has the AirGlide maneuverability technology which includes a swivel steering allowing it to glide smoothly over obstacles. 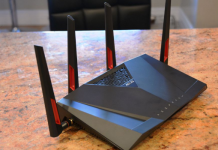 It is also extremely lightweight – weighing only 9 pounds. Cleaning pads are an important component of steam cleaners as they protect carpets and hard floors. That said, the Shark Sonic Duo has various color-coded washable pads. The color codes include two green hard floor pads, one purple carpet and rug pad, one orange hard floor polishing pad and a purple scrubbing/stain removal pad. You might consider purchasing this model considering the additional attachments provided by purchasing it. Unlike other models, it comes with cleaning solutions. They include a 12-once hard floor cleaning solution, 12-ounce no rinse shampoo for carpet, 10-ounce activating carpet stain and odor remover and a 16-ounce hard floor polish – specifically for wood. The other special feature of this steam cleaner is the presence of headlights. It is equipped with headlights that enhance the visibility of stains. Headlights illuminate your cleaning path ensuring that all discolorations in the form of dirt and dust are removed. 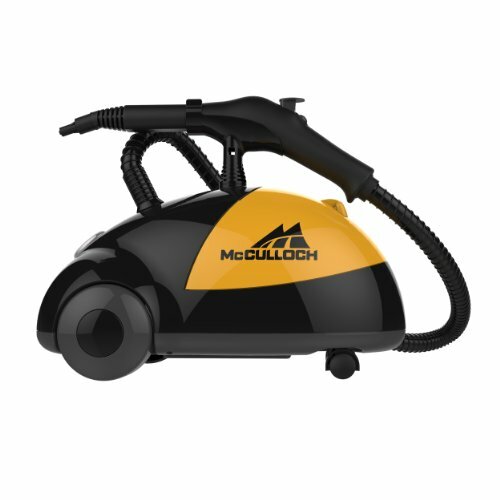 If your cleaning needs require a powerful, versatile and natural cleaner, search no more as the McCulloch MC1275 Heavy-Duty Steam Cleaner will sort your needs. This cleaner is a professional quality cleaner for individuals who are seriously into steam cleaning. Like other steam cleaners, it takes advantage of ordinary heated water, with temperatures exceeding 200 degrees for an effective and natural cleaning result. It also sanitizes a myriad of surfaces. Its versatility is due to the various array of attachments that accompany this machine. Its design also makes it suitable to be used in eliminating tough stains. Mop head with extension wands allowing the use of this cleaner on any type of floor surface including wood and laminate as well as hard to reach areas. For good measuring, a scrub pad, water funnel and a measuring cup. With the features outlined above, it is evident that this steam cleaner is overly versatile. It is ready to tackle any job you have. When it comes to power, McCulloch MC1275 Heavy-Duty Steam Cleaner doesn’t disappoint. 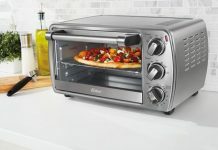 It delivers 1500 watts of power and up to 45 minutes of steam cleaning without interruption. This provides an assurance that the job gets done quicker. The natural aspect of this steam cleaner comes in where you don’t need chemicals to achieve a spotless clean. With this cleaner, all you need is to refill the 50-ounce tank, switch it on and begin cleaning. 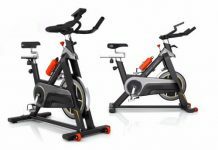 Like other models of this caliber, it has a steam control switch used to customize the steam power. 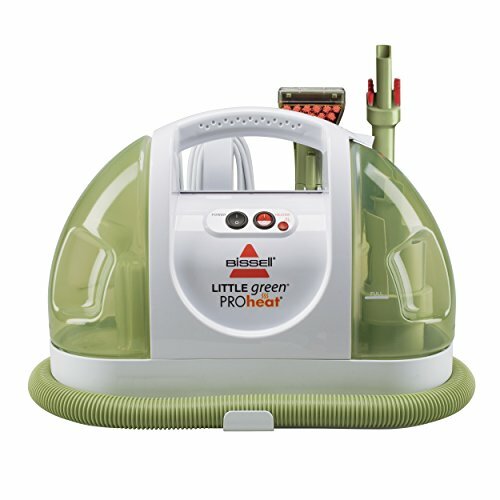 Yet another product from Bissell line of products, the Bissell Little Green ProHeat Steam Cleaner is a portable cleaner, which gives you exceptional cleaning power. This steam cleaner is equipped with a powerful spray and suction functioning, thus easy cleaning of spills, stains, spots and pet accidents on the carpet. The cleaner is small but mighty. It is compact and as mentioned, equipped with powerful spray and suction ability to clean up spots and stains easily. This cleaner can be used effectively to clean messes on multiple surfaces including upholstery, stairs, auto interiors and area rugs. The size and weight of this cleaner is beneficial. 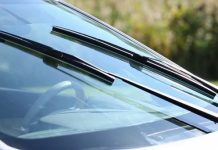 So to say, its lightweight and compact design makes the cleaner easy to use on various situations such as cleaning cars, seats and more. The easy fill and easy empty tanks provides for an easy operation. Moving on, the cleaner comes with on board tools, including a tough stain tool and crevice tool, which are used to clean hard to reach areas such as in upholstery, stairs and carpet edges. The built in water heater is the other amazing feature of this cleaner. It provides advanced cleaning results. Note that it has separate clean and dirty water tanks. Perhaps the most popularly used carpet cleaner for serious home users, the Rug Doctor Mighty Pro X3 features a lot for your carpet and steam cleaning needs. It is a commercial grade cleaner with high quality workmanship and effectively powered for exceptional cleaning. The hallmark of this carpet cleaner is its vibrating brush technology. This machine features a patented vibrating brush technology, which loosens the dirt enabling for an easy cleaning. Steam cleaners certainly require high power supply to heat and dry the surface quickly. That said, this model comes with a high 1.74 HP with 28 psi power pump. This ensures that stains and dirt are eradicated from carpets. A steam cleaner wide enough to reduce the number of times you have to rotate to clean a given surface is beneficial. The Pro X3 is 10.8 inches wide, providing a standard carpet-cleaning path. For easy use, the handle of this cleaner is adjustable. Users can adjust the length based on their height. The height varies from 32.5” to 33.5”. This height can also be folded down to save room when storing. Like other effective steam cleaners, this model comes with two separate clean and dirty water tanks. This makes it easier to fill and refill the tanks. The clean water tank is located at the bottom of the cleaner. 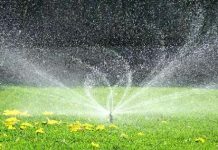 It accommodates up to 3 gallons of water. This strategic location makes it possible to use wither a shower or bucket to fill it. On the other hand, the recovery tank is 3.9 gallons. The high capacity of this tank provides ample space to clean more and refill less. However, this may make the unit quite hard to maneuver. This is also beneficial for carpet shampoo users. This carpet cleaner is considered a commercial grade due to its solid build. The machine is built to last for many years ahead, while providing effective cleaning. Perhaps ascertaining the cleaner’s solid build is the 5-year limited warranty and the 30 days money-back guarantee. This doesn’t apply to this product only but to other Rug Doctor steam cleaners. Some of the accessories of this steam cleaner include a universal hand tool and hose set, which are great tools for cleaning your car, stairs or tough to reach areas. It also comes with pet or family package with cleaning solutions which are highly concentrated and non-toxic. Steam cleaners, despite being a new idea in cleaning methodologies, has taken the market by storm. This is arguably due to the powerful and spotless cleaning they produce. However, you can’t achieve this by picking any steam cleaner you come across in the market. You will need to do some research, consider your needs and go for the right product. 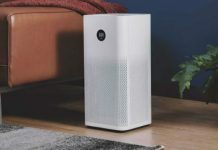 Our review above highlights what you should consider when looking for steam cleaners and some of the ten best steam cleaners you might consider ordering. A lot of housewife like to use Rug Doctor Mighty Pro X3 Carpet Cleaner. It is very useful information for my wife. My wife is searching a long time for steam cleaners. I will share your post with my wife. My wife definitely like this Rug Doctor Mighty Pro X3 Carpet Cleaner. Keep up the more useful article. Thank you so much for sharing. Thank you Wade! Its pleasure to hear that. Cheers! That’s very nice to see so many steam cleaner, many of them i din’t even know about. Thanks for sharing this article.